Volunteer for Solar Decathlon 2015! One of the best ways to experience the U.S. Department of Energy Solar Decathlon is by volunteering. 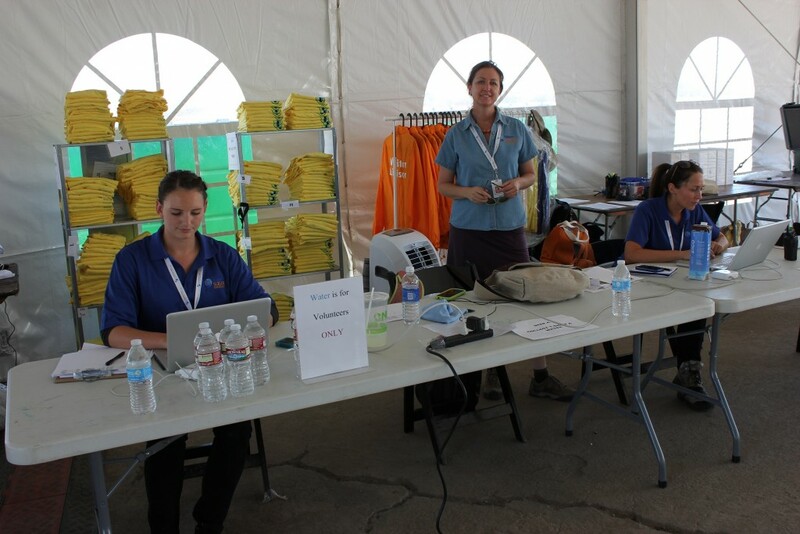 Volunteers work alongside event organizers to ensure Solar Decathlon 2015 runs smoothly and visitors have an exceptional experience. 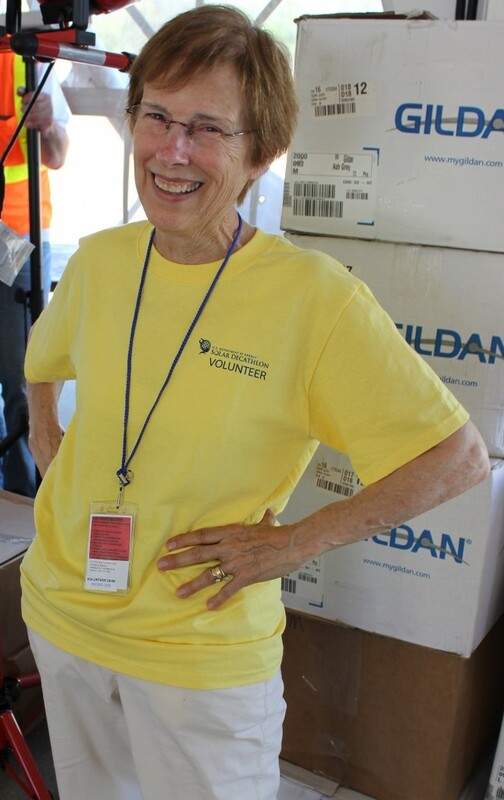 With the launch of online volunteer registration, Mary-Lyn Chambers, volunteer manager, is now welcoming volunteers for Solar Decathlon 2015. Site operations water delivery/retrieval assistants. In addition to contributing to the event’s success, Solar Decathlon volunteers will receive a souvenir t-shirt and hat. “As a volunteer, you will be so inspired by the decathletes and their competition houses, you won’t want your shift to end,” Chambers says. Learn more about volunteering and register today! At Solar Decathlon 2013, 1,200 volunteers donated 7,700 hours over 1,300 shifts. As many as 200 volunteers work each public exhibit day in the Solar Decathlon village. Volunteer docents provide guided tours of the village, describing the highlights of each house. About half of volunteers come from our sponsor partner companies. A one-hour online training session and additional reference materials are provided to all volunteers. Carol Laurie is the communications manager for the U.S. Department of Energy Solar Decathlon. This entry was posted on Tuesday, May 26th, 2015 at 4:54 pm and is filed under Solar Decathlon, Solar Decathlon 2015, Volunteers.